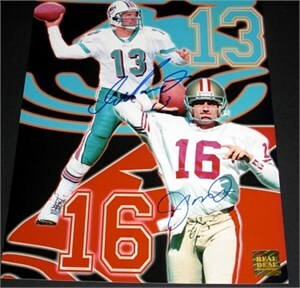 8x10 photo autographed in blue marker by legendary quarterbacks Dan Marino and Joe Montana. Authenticated by Real Deal Memorabilia, with their holograms on the photo and certificate of authenticity. ONLY ONE LEFT.